The new landmark Yarra One precinct is on-track for completed construction by the end of 2020. The new landmark Yarra One precinct is on-track for completed construction by the end of 2020, and its second release of one bedroom apartments is selling fast. EcoWorld International General Manager Jeffrey Ong says the company was initially attracted to the site on Claremont Street due to its location in a premium suburb. It lies in the heart of South Yarra, an area renowned for offering its residents a desirable lifestyle of convenience and connectivity. The developer has a vision to provide even further amenities within Yarra One so residents can live a well-balanced life now and into the future. It doesn’t end there. 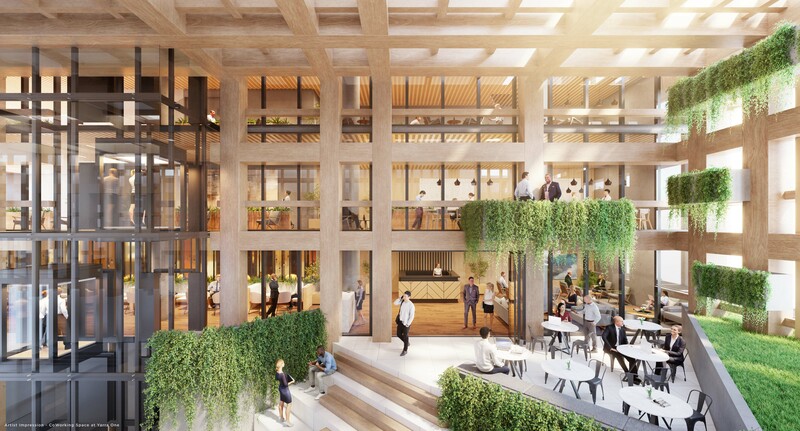 The developer has also recognised the need for flexible working arrangements and has planned a residential co-working hub. There will be membership options that will provide residents with the ability to work in a dedicated, well-equipped and connected office without leaving the building. There is also an open-air workspace which South Yarra and Yarra One residents alike can access. Located on level one of the building, it is equipped with laptop and phone charging stations. A café ensures everyone will remain well-fed and caffeinated during working hours. Designed by Fender Kataslidis, the apartments have adaptable floor plans allowing residents to transform their homes to suit individual needs. “This offering is about tailoring specific living requirements, patterns and habits into a liveable design right in Melbourne’s popular Yarra River corridor,” says Fender Katsalidis co-founder Karl Fender. The floor plans have been crafted in accordance with Livable Housing Australia’s Gold-Star standard — a set of guidelines developed by a team of specialists to ensure homes are easier to navigate, access, and live in. The 26-level tower comprises 1, 2, and 3 bedroom apartments and 4 bedroom penthouses. Each home is orientated to experience a full breadth of views over the city through expansive floor-to-ceiling windows. The balcony is seamlessly connected to stylish and sophisticated lounge rooms which showcase rich timber veneer joinery and chevron parquet flooring. Equipped with Miele appliances, including an in-built microwave, and marble kitchen benches, cooking will be an elegant experience in the kitchen and dining areas. Suspended over the island bench, custom-designed pendant lights create a warm ambient atmosphere — perfect for when friends and family gather for a feast. The sense of luxury continues in the bedroom where integrated shelving, robes, drawers and a dressing table provide ample storage. This is where belongings can become a collection — thoughtfully concealed, or purposefully displayed. Read more about Yarra One here.